Go to roadid.com to order your Road ID! 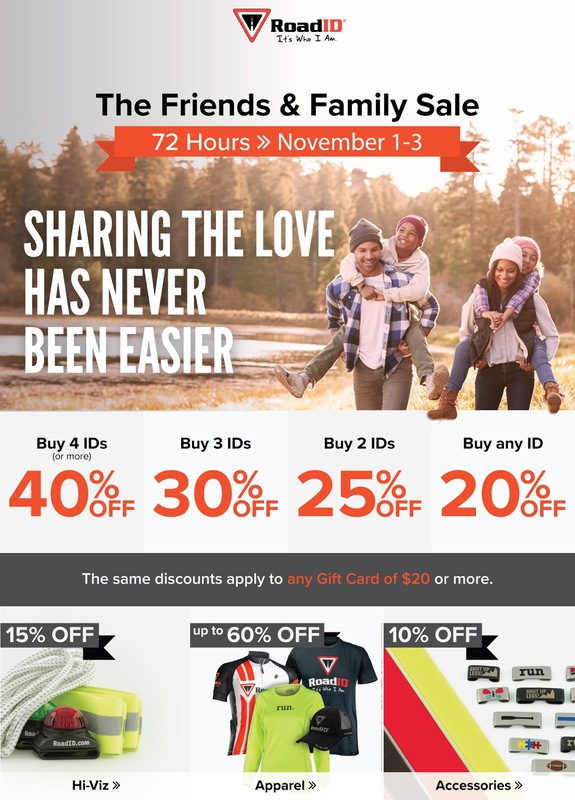 With the Road ID Friends & Family Sale, sharing the love has never been easier! Buy any ID and get 20% OFF! Buy 2 IDs and get 25% OFF! Buy 3 IDs and get 30% OFF! Buy 4 (or more) IDs and get 40% OFF! The same discounts apply to any Gift Card of $20 or more! Up to 60% OFF Apparel! Go to roadid.com to order now! November 1 through November 3, 2016!